Not much needed to be said here. I tempered Dark chocolate and coated the molds with it and let it set. 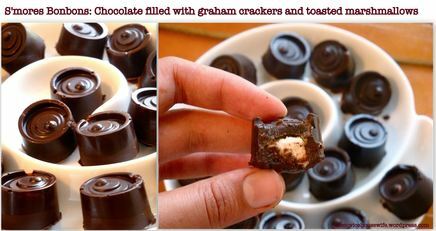 I then added a pinch of graham cracker crumbs and then a piece of toasted marshmallow and topped with the tempered chocolate on top. They were fabulous!